All organizations need to effectively manage risk to be successful. This may be risk of injury, risk of environmental damage, risk to property damage, or all of the above. SBN offers mobile risk management solutions that allow staff to identify risk, document it, identify mitigation strategies and record mitigation efforts – all electronically and all from the field. 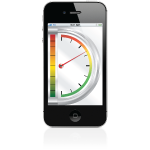 Our mobile risk management solutions are robust and easy to use. Our risk management applications allow users to identify key elements of their organization that they want to check regularly. Each identified element can be supported by an inspection checklist and an inspection frequency which the user can create and schedule. Staff is then able to head out into the field with a mobile smart device to inspect for risk. Using the inspection checklists created in the risk management application, staff can document their field observations. 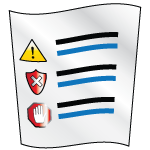 If risk is identified, an exception report can be prepared within the application with a proposed mitigation strategy. This can be assigned, and once corrective actions are completed, the user can document field verification using the mobile device.